Simon Eastwood: So I was really interested in this idea of characters when you interpreted my piece of music, I was wondering if you could talk more about that? Oleksiy Koval: You mean these three different pieces, and how I get these characters? OK: Well in the first piece I just purely listened to what kind of sound comes and reacted to it spontaneously with a strict rhythmic structure behind. But one or two elements of the rhythmic motif became flexible while painting, which means until the end of the piece I lost this strict structure and this began to be more and more free, and the characters became really focused on what is going on in the music piece. And in the second part I was concentrated on movement, and yes I tried to keep the line, but some improvisation was always focused on what I hear in the moment. Which means it was not about the rhythmic structure, like with the first piece. but was just a movement, this line that goes up and down, and then it depends on what musical instrument was playing at the moment and what I had a feeling to do that is good for the composition of the surface. Well then in the third piece, because of the piece, it was a lot of different characters, they should be quite opposite to each other which means, in painting you talk about point, line, and surface, like this. So I mixed them depending on the sound. SE: That’s interesting because I can’t remember if I told you how I wrote the piece before you did the animation, I don’t think I did, because what you’re talking about is actually very similar to the process I used in writing the music. Taking these approaches, is it because you heard a structure in the first piece, and the second one sounded freer to you, and the third one was a bit more schizophrenic? Is that something that you drew on to find structure, was that what lead to your decision or was there some other process? Do you understand what I mean? SE: I’m just saying because what you’re talking about is something that’s in the music, that I put there but didn’t tell you about. SE: So, everything was in real-time, but you spent some time planning ideas? OK: No not really, I listened a couple of times, and then I prefer to keep on the movement. In this time I was interested in using some digital tools, but I wanted to keep a spontaneous decision, and I wanted to do it in one move, you know, and so then I started to make some decision about the tools and about the colour about the composition. Because you talk about animation, you know, and that is actually what I absolutely don’t what to have. Sometimes if you paint you can reach the same result what happened to me while painting your piece, which means you start with white and at last you will get a black monochrome painting. And the painting became black monochrome, not because you wanted to have it at the beginning, but while procedure, while painting, like if it’s too much black you come back to white, and so on and so on. And animation is something where you try to create movement, and the movement goes by itself. In this case, movement was me, nothing that the computer did or the program did, so it was always the applying of colour in the moment and I decided how long how quick, how big. SE: So to you, it’s more like a moving painting? OK: Hm, yeah actually you know, if you film how I paint in my studio on paper on canvas or wood there be the same things, so it’s just documentation of the procedure which I do every day 3-5 hours while painting. That’s why I would say it is just painting and you see the procedure. The video can show you how it starts and how it is ended, but for me it’s not animation. I was not focused on this kind of media. I wasn’t sure actually, will I paint over or leave something, but the decision came while listening to your piece. SE: Because it seems very structured the way that you go from black to white to black. I said before that it makes the music seem more structured by having this form in place. And you didn’t premeditate that at all? It was part of the improvisation? OK: Well I decided I wanted to keep black and white first, and then I decided to start with white on black first and I see what happened. Also I was not sure how I will connect all three pieces because in the first one if I got white then I’m free to start, and it was a spontaneous decision to start in the left corner down to go with the line from down to up so that you could do it from another direction as well, and I didn’t know how it would stop and how it would look in the end, you know? Well, I felt it would not be bad if it would be black or white in the end, but during this piece I decided to go to black when the third piece starts. SE: From the point of view of it being a painting and you’re seeing the process, if you only saw the end result you would just see black. OK: But that is the result. SE: That is the result but from that point of view it’s a multi-dimensional object because you’re seeing it unfold in time, so if this were a painting it would be black but you wouldn’t see the process. SE: So, I guess what I’m trying to say is this sort of mirrors that larger process of what I’m doing where I try to show people the different stages in the interpretation of an artwork. Do you consider this a performance of a static piece? OK: Well maybe one thing more, because compared to analogue painting, in digital painting you have only one materiality of the screen. And you’re absolutely right if you see the black surface at the end of your piece on one screen, you can’t see what the story is behind and how I got this black. But if you paint your piece like I did with analogue tools, like ink, oil or something else, you will see how I worked to get this black at the end, because materiality of the surface is not the same as paint. OK: yeah, for example, absolutely. Of course we can talk about the performance, but you have always a performance while working. But the goal is not the performance, the goal for me was to paint by applying the colour and to see what happened during the procedure and I could decide when I stop and if I am happy with that or not. The goal was the result on the surface. I’m not sure if I can say performance in this case, maybe procedure is more how I can describe it. 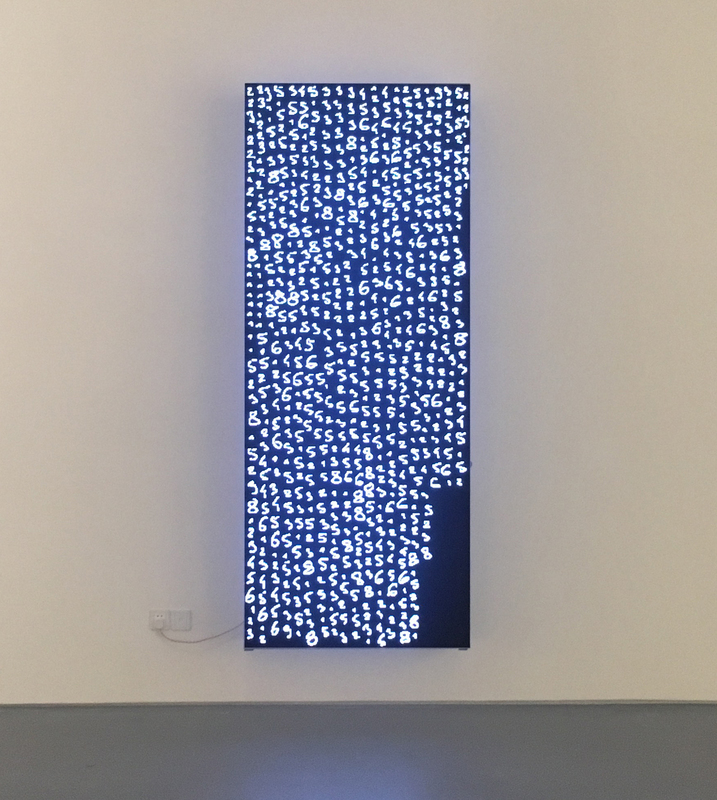 SE: Is it in some way an attempt to capture the analogue feeling of the layers and being able to see the creation of the work, is the function of the movement in a digital artwork? OK: Well you can paint with digital tools using the layers and being able to see the creation of the painting or you can paint with analogue tools trying not being able to see the creation of the work or the layers. I would just say that the function of the movement in a digital and analogue painting is the same. And painting is applying colour to the surface with the hand or any kind of tools, and in this case it’s digital tool. So it doesn’t matter if you have an Apple Pencil or brush, or pallet knife, you’re applying the colour on the surface, and I did the same, and I try to keep it because it’s the original meaning of painting, what painting actually is. SE: Because we think of painting as an art form which exists out of time, but you’re saying is that painting moves through time like music does. Is that right? OK: You paint in time like a musician plays in time. Music is more one idea after another idea, and you need time to understand music and in the painting you are dealing with the space, and time as well. Of course you are dealing also in music with space but it is not the same. You can see the whole painting in one short moment, but it takes a while to get the whole piece of music. So that’s the difference. SE: So it’s the esthesic dimension, when the viewer, the audience, the receiver of the artwork experiences music in time but they don’t experience painting in time, but the creator experiences the work time? OK: One of my favourite Rembrandt’s painting is in the Old Pinakothek in Munich. I look at it already 18 years there, again and again and can’t stop watching it. Which means you know Rembrandt did it in time and put a lot of stuff on it and I can see how he starts, what was the middle procedure, and what was his decision at the end and how he connected them. I mean, you need time as a visitor to watch the painting and to see the history of this painting, to see the history of how he applies the colours. It is similar with a piece of music. What you see in the short moment is only a motif. It’s just if it’s landscape or if it’s something geometrical of what else, you know? That’s the motif. But how a painter works out his motif is to explore in time. SE: I also noticed on the video that you posted, you listed a number of collaborators on the project. So what did the other people do? OK: Well, as I told you before, I had not so much knowledge about digital tools and how to use them. One guy, his name is Michael Gene Aichner, he is a visual artist and VJ, he has worked for more than 20 years only with digital tools, so he explained how I can fix it with these tools, and then there was a guy who helped me with the video. SE: So it was technical support. OK: Yes, it was technical support. SE: One of the big issues for me in this whole project, which I’ve come back to a couple of times, is this idea of ownership over a piece of work, and if a composer writes a piece in the Western Classical Tradition it’s always very clear who wrote this piece of music. But that kind of breaks down when you take into account that the composer needs to either play the piece his or herself or as normally happens they will give it to someone else, and so the music becomes a collaboration. Then the question arises, whose piece is it? Does it matter? I think you’re approach is quite interesting because I’ve worked with a lot of musicians who improvise along with scores or other people and they will often assert that the sonic result is their music because they created it by improvising. But you have a different view on that. OK: I mean, if we stay with the example of your project and what I did I will say the composition is the most important thing. You cannot separate it so clearly in visual art as you do in music, like you have composers and interpreters, but in this case I had your composition and it took away some kind of decision which I normally have to deal with, if I am doing my own piece. SE: It took away the decision? OK: Yes, because you did that for me. So my decision was focused on… I would say you took 50% of the job, you know? But your decision is an original decision, so from my point of view it’s your piece and I was the interpreter with visual tools in time and on the surface. In Renaissance times for example a lot of people painted scene from the Bible and it was often the same motif. The painters became also similar like interpreters in these kinds of societies with dictators, where artists have to paint on the form prescribed for example by Napoleon or Mao Zedong. So the original ideas or what you are actually doing, were taken by society, religion or political situations. That would be maybe an example where you can recognize that these artists are more interpreters than composers. OK: I apologise if I interrupt, you see the piece? SE: Yeah, like when I see my piece with your painting I hear the piece differently. OK: But do you have some kind of visual imagination of your piece before my painting? SE: Sometimes I do with other pieces, but I tried to avoid that here and make the piece as abstract as possible. Because I didn’t want to a preconceived notion of what your response should be. So it’s interesting the way that it changes, especially when you take away the original piece and add different music to your painting… What did you think when you listened to Tristan and Jake’s improvisation? OK: You mean the second improvisation of my painting with your…? OK: Ok, well when I was listening I felt the musicians were really focused on movement. But what I’m missing is the original part of your composition, which I really liked, you called it Triptych. There are three different compositions, they have some connections but there is a contrast between them as well. This is what I was really interested in while painting your composition, so I kept this contrast on the surface. And this contrast between the three parts is what I’m actually missing a little bit in the second music version. SE: so the detail gets lost? OK: Yeah, like in the architecture you see three different buildings, with different details. And now you see different details, but the buildings are not different they’re the same. In the first piece I would say there was a small wood house, then a skyscraper, then the third one was I don’t know a stadium but in the second piece the three were more or less the same. SE: Going back to the idea of composition, when you work with the Beautiful Formula Collective, is the performance essentially adding the detail? When someone’s added the structure beforehand? SE: Yeah, composition. And then the performance creates the finished piece. I noticed when you talked about the composition of my piece….was that a similar performance for you, from that point of view where you’re taking something that’s already been decided and then you’re adding your bit to it? 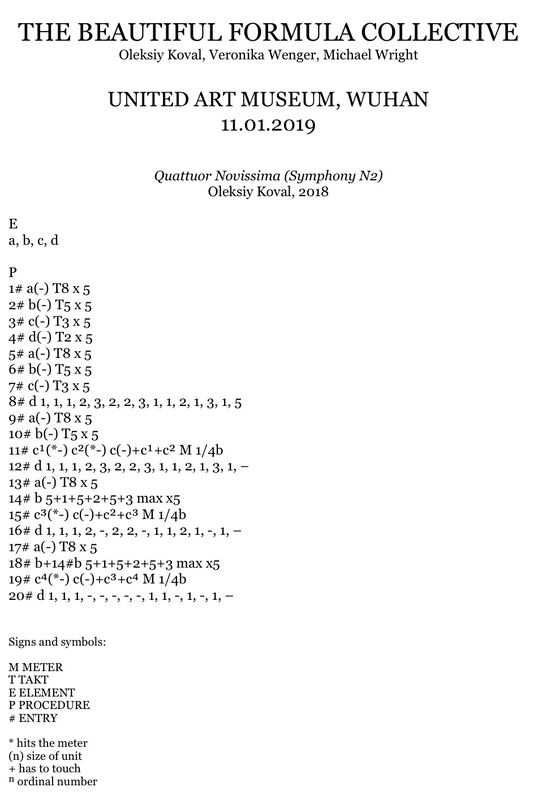 OK: Yeah well, we’re using the Beautiful Formula Language, as some kind of language that helps us to write down a composition for visual art, like note for music. But the composition is only a description of the procedure. In this case this kind of procedure was for me your composition, my decisions were focused on choice of tools to get some kind of unity to your piece and to make my interpretation of your piece clear and these part of course is very important. As I said before I believe if you have composition it’s half, it’s 50%, of an artwork, but what counts is the end piece, the artwork at least, yeah, the combination of essential parts. So you can write down the composition and it might be very maybe beautiful in your mind, but if you never play it by yourself or let other do then something is missing, you know? OK: It doesn’t exist, exactly. Well in this case it was the procedure, the composition was taken by you, and I decided about tools, about how I am dealing with it in the moment. SE: Do you know Jean Jacques Nattiez? The semiologist? So he has an idea where there is a creator, and then the receiver, so the audience. The creator generates the work through though the poietic process, and the receiver interprets it through the esthesic process, and then there’s supposed to be this thing called the ‘trace’ in the middle. According Nattiez this the work, basically. So when it comes to the Beautiful Formula, what is the trace? Is the painting that results, or the formula? OK: The formula is only… Sometimes if you paint you are happy about what happened, and sometimes you have lost while painting. It’s like if you’re in the forest you can enjoy the beautiful flowers and mushrooms what else, but you have to know where the exit is. If you do not know where the exit is, if you get lost you cannot enjoy the forest. And the Beautiful Formula is some kind of tool to help me not to get lost while painting. You know everybody has different ways. But my focus is on the whole thing and it is painting… well, you know compared to football, manager Lobanovsky said once that he is not that happy, if his team won but the procedure for the game didn’t work out. And of course he is also unhappy if his ideas for the game worked out but the team lost. He is completely happy only if his idea, his composition for the game worked out and his team won. And that is what happened while painting as well. Sometimes you have an idea you want to try out, a tactic, or strategy and if in the end you are pleased, your eyes are happy with what they see and it’s based on the original procedure, then it’s perfect. Of course you can make a great painting even when your original plan was completely wrong. But you’re not really happy with that, you know you’re happy to have a good artwork at least, but it was not what you actually tried to achieve… maybe that’s the answer to your questions. SE: Maybe. And then you use the same formula multiple times to create different pieces? OK: Sometimes I, or we, use the same composition, it’s just like Claude Monet made the same motif 25 times because he was focused more on the different light but he was not interested in the motif, actually. The same here, if I’m interested to try something out while painting, but not to change the motif, I paint the same composition a couple of times. SE: Well with our project, going back to Nattiez. Normally the trace would be the score, but you’ve never seen the score. OK: You mean zero to one, or? SE: I mean the sheet music. Nattiez would call that the trace, the sheet music which I give to the performer. So, if you consider the work as a whole the trace would no longer be the sheet music it would be the audio recording. Which means that the work is changing as it goes from one person to the next, do you agree? OK: Well, actually when I work with four or five other artists from different parts of visual art, and we have the same procedure, some of us try to expand it in some kind of way, and that is really interesting, but I wouldn’t say another work, because the composition is still the same. If we are agree that the goal is a whole painting, then it’s acceptable if somebody will change some entry and make decisions that are maybe not written down. You have traffic lights and zebra crossings at the crossway. The rules told you to keep on the zebra crossing and to cross if the traffic light is on green. But from time to time when crossing the street you have to leave the zebra crossings area and you go if the light turns red. Of course the work is changing if the original idea of the composition was modified, like when you change the rules of the Road Traffic Act or built the underpass, or decide not to cross the street. SE: Do you ever find that if somebody is not aware of the procedure that they see it as the same work? If you see two paintings which are made with the same procedure? OK: Yeah, if you know this Beautiful Formula ideas, if you work with this, you can recognize it immediately. SE: But a visitor to a gallery if they saw two paintings. OK: Well some visitors cannot recognize if it’s Rembrandt or Rubens. It depends on what kind of experience they have and education, and what they expected to see. And if I’m talking about the procedure, I’m talking about the composition, I’m talking about the Beautiful Formula Language, that’s more for painters. Actually, you know if I come to the bank to pick up my money I have no clue how the bank machine, the ATM, is working and all these things. My job is to do painting that catches visitor’s eyes, but how I achieve it is my decision, is my freedom. SE: Of course, but there’s just this sticky concept of the work. Because from the layman’s point of view they’ll surely see them as different paintings, but for you they’re the same? OK: Yeah well, for me they have the same composition, but they can have different colours, can be executed one by one or in the group, with oil, acrylic or tape. So the tools can be different and maybe some kind of details, character of marks as well, but the original plan for the procedure is the same. SE: Does that bring us back to painting in time and the painting on the wall being an artefact of a process? OK: Yes, if I do understand what you mean, if you ask me to paint the same composition on the paper 30 by 40 centimetres it’s one thing, and if you ask me to paint on the wall 5 by 20 metres that’s another thing. I have to deal with the time and the tools. You could say I have three months for this or three hours, or I could decide to do it in three minutes. SE: I think it’s related to what you were talking about with image and painting. How an image is something which looks like something else, but the painting is about the surface, the process, the unfolding. Is that connected to this idea of time? The thing that makes your painting a painting is that you can see the process, if you gave us a black digital pixel that would be an image, is that right. OK: Yes, an image has a connection to something which we have in our mind, so if you have an image of a black pixel then it’s already an image in your mind, you know? 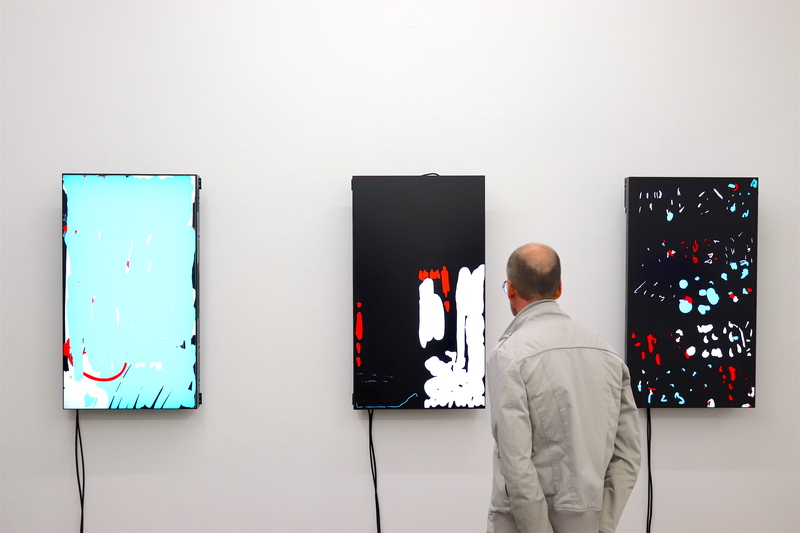 But compared to painting even if it’s a black digital pixel, monochrome, or all-over surface, you can enjoy it with your eyes and recognize that it’s not just a black digital surface of the screen. You can recognize the quality of black, the materiality of the surface, how it is compared to the border of the screen, and from the border to the wall, and so on. You know, monochrome painting could be a painting where the motif is the surface, nothing else. So you have no landscape, you have no portrait, you have no geometrical composition or something else, it’s just your surface. But even in this case you can fill it with colour or you can paint it. It’s like Cezanne said, you know, I put one colour close to another, and I get apples, clouds, mountains, what else. You can see the materiality, the process and the time also in images, Pieter Bruegel the Elder, Gustave Courbet or Gerhard Richter for example. It is not an image if you get this black surface, black digital pixel while painting. Because image has nothing to do with painting, it’s about how it should look like, it’s not about a matter, it’s not about the materiality, it’s not about the meaning of the true painting, it’s just about image. Image is an execution of image of a landscape, or of a portrait, or just of a black square what else. OK: Well in German they say ‘malen’ for ‘to paint’ and ‘ausmalen’, like ‘to paint off’, for ‘fill it out with the colour’. I would say the fill-it-out-with-the-colour procedure is for the image and the to-paint procedure is for the painting. Cezanne was looking at an apple but he was more interested in applying the colour on the surface. He didn’t fill out with the colour the shape of the image of an apple, quite the contrary, he left the area often unfinished. You see first the colour, the shape of the brush and only then an apple. It wasn’t important for him to make a precise image of an apple but to paint an apple, and to make a painting. New Zealand composer Simon Eastwood cites a wide range of influences on his works from Popular Culture to European Modernism, but also draws upon music from a variety cultures around the Pacific Rim. He has had works performed around the world by a variety of artists including Franck Ollu, CHROMA, Christopher Redgate, Stroma, and The BBC Singers. In 2009, Simon’s work The Spindle of Necessity was chosen to represent New Zealand at the Asian Composer’s League Festival in Korea. Simon gained a BMus from the New Zealand School of music in Wellington with first class honours in 2008 with majors in both Composition and Double Bass. In 2010, Simon travelled to London to study towards a Masters from the Royal Academy of Music studying with David Sawer and Sir Peter-Maxwell Davies. 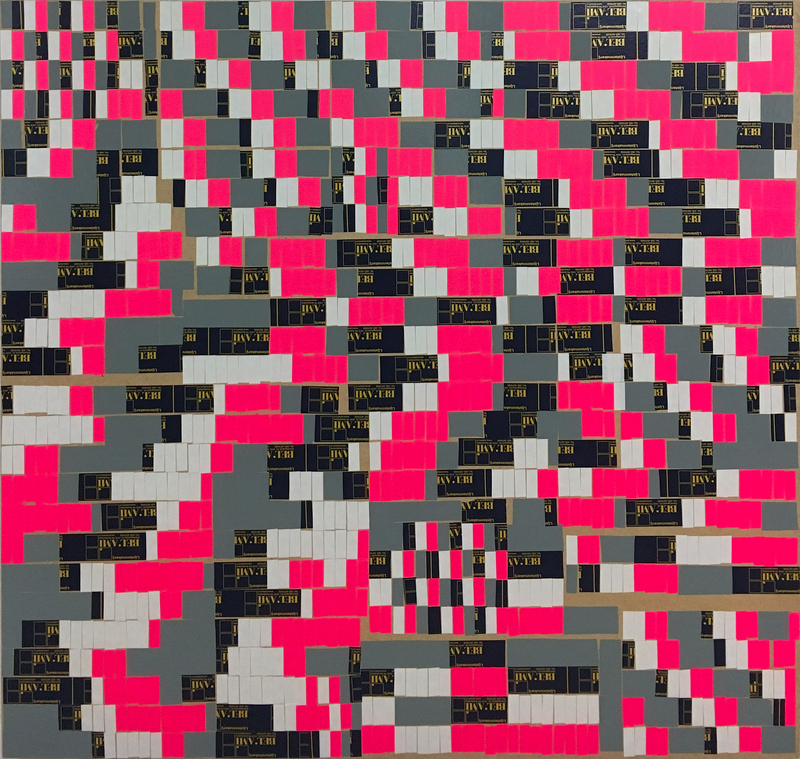 After graduating from RAM with distinction in 2012, he went on to participate in a number of residencies in the UK, Bulgaria, Turkey, and Lithuania before returning home to Wellington in 2015 where he currently lives as a teacher and freelancer.